Google Glass: dead or alive? Nest's Tony Fadell takes over. Google Glass Is Finally Dead. Ish. In the end, even Robert Scoble turned against it. 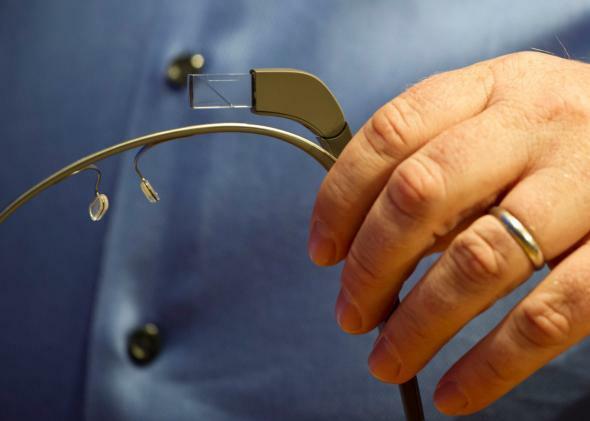 Google announced on Thursday that it will stop producing Google Glass in its current form. That means, after Jan. 19, you’ll no longer be able to spend $1,500 for a semi-functional and socially controversial face computer. I know. It’ll be OK. There, there. As we look to the road ahead, we realize that we’ve outgrown the lab and so we’re officially “graduating” from Google[x] to be our own team here at Google. We’re thrilled to be moving even more from concept to reality. I’ve got to hand it to Google: “Moving even more from concept to reality” is a pretty fantastic PR euphemism for discontinuing a product, moving the team to a different division, and going back to the drawing board. While the company promises that there will be future versions of the device, it has offered no timeline. That said, it’s worth believing Google when they say that Glass isn’t altogether dead, if only for one reason: According to the Wall Street Journal, the person who’s taking charge of the project is Tony Fadell. Fadell, you might recall, joined Google when it acquired his wildly popular smart-thermostat startup, Nest. And before that, he helped design the iPod for Apple and ran its iPod division from 2006 to 2008. If anyone at Google can build a new gadget that grabs the public’s attention in a good way, he might be the one. 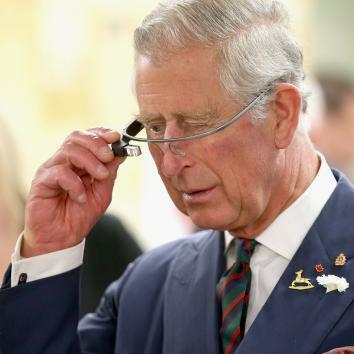 Prince Charles wasn’t the only one who had trouble getting them to work. What probably can be salvaged, as I’ve argued in the past, is the idea of smart glasses in the workplace. There’s a lot of potential value in a wearable device whose camera “sees” what the wearer sees while leaving, her hands free for other tasks. Doctors, jewelers, FDA inspectors, and plenty of others would be willing to pay a premium for such a device, provided it’s tailored to their needs. There are signs that Google is in fact moving in this direction. According to Fortune, at least one startup focused on medical applications for Glass has been told by Google that it remains “very committed to Glass at Work,” its Glass enterprise project. The greater challenge would be to build a version of Glass that appeals to the average consumer. The Atlantic’s Jake Swearingen suggests it ought to start by ditching the camera, because that’s the part that got everyone freaked out about invasions of privacy. I’ve always thought the privacy concerns were overblown, though. In my tests of Google Glass, the camera was pretty much the only feature I found useful. A face computer that only does things like Web search and text messaging would be a pretty ungainly alternative to the Apple Watch. Whatever Google does with Glass from here on out, the work will be done behind closed doors. In theory, releasing a clunky prototype of your potentially revolutionary device to an exclusive cadre of beta testers sounds like a good way to work the kinks out before you foist it on the public. It seemed to fit with Google’s culture of relative openness, in contrast with the extreme secrecy of Apple and other hardware giants. In practice, it was a public-relations disaster. Glass was judged as harshly as if it were a finished consumer product—if not more so, because the Explorer program’s exclusivity added elements of envy and resentment. I still think the company would be best served by handing off the hardware to some other company, as I suggested in November. At this point, trying to resuscitate Glass might be rather like trying to relaunch MySpace. But Google is apparently willing to at least let Ross and Fadell give it a shot. Either that, or this really is just an elaborate way of killing a project without admitting that it’s dead. Think Smartphones Are Distracting? Google Glass Is Worse.